What is the difference between a bartender and a mixologist? This question comes up all the time. It's a trendy topic but ultimately irrelevant. If I would have referred to myself as mixologist during my bartending days, customers would have choked on their cocktails and fallen off the barstool laughing. I mixed liquids with ice. I recommended drinks that complimented steak or seafood or pasta or bar nuts. I told people what not to drink. I cut people off. But a mixologist? Then again, my mechanic is now a "parts specialist," my manicurist a "nail technician," and my garbage man a "waste management facilitator." Do I take their skill set more seriously? Perhaps. Do I grant them more respect? Possibly. Do I place more value on their jobs? Probably. People love the term "mixologist" and from what I can tell, value it more than bartender. And I get that. The woman who recently served me a cocktail at the airport was as skilled in mixing drinks as a toddler. My Margarita was topped of with Sprite and garnished with a lime I'm certain was recycled. There was was no talent, no heart, no inspiration (unless of course she considered the Sprite to represent all that.) She was just going through the motions, doing her job. But I've also encountered mixologists who are just as capable of altering a drink to my extreme dissatisfaction. I really don't want cloves in my Cosmo, no matter how hot that pairing might be. Just because you're not following a recipe don't give you liberty to slap "mixologist" onto the resume. Here's how I'd define the roles, having spent a considerable amount of time as both. A Bartender never works in isolation. Besides pouring tried and true cocktails perfected by others over the decades, even centuries, the bartender dabbles or launches into original cocktails or trending cocktails. In addition to making drinks, a bartender must juggle a multitude of responsibilities like dealing with bar-backs, waiters, hostesses, other bartenders, and the general public. They must take orders, serve food, and bus plates, deal with drunks, arrange for cabs, and sometimes call the police. A bartender loves what she does, but she may not identify with it as a career. In many cases, it's a means to an end. A Mixologist may or may not work behind a bar, or even in a restaurant. Creating fantastic cocktails is the number one priority, and may be the only requirement of the job. Traditional cocktails may be served, but not by traditional methods, and certainly not by using customary ingredients. A mixologist pushes boundaries and relishes diving into unchartered territory. No street cred is required -just a knack for spirit-based pairings and a talent for taste that could rival a master chef. When I'm giving private mixology lessons to a group of women, or entertaining a large gathering of people in my home, I think of myself as a bartender. 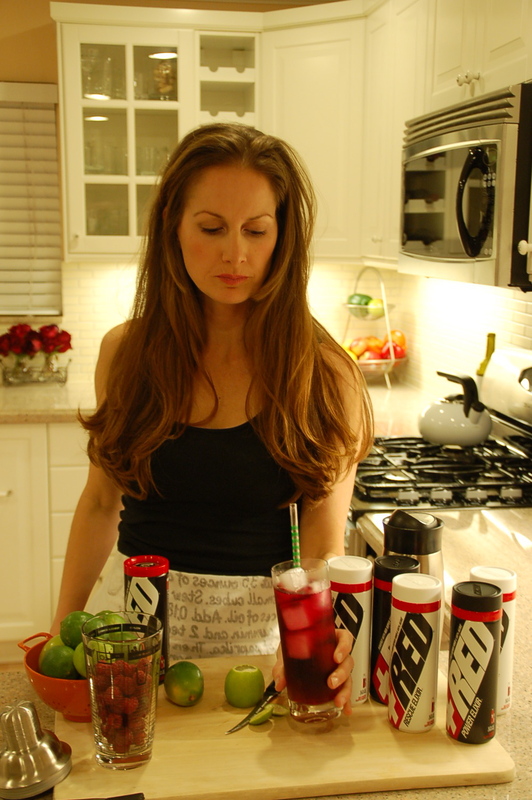 When I'm creating drinks for BevMo!, local restaurants, or special events, I call myself a mixologist. I don't prefer one title over the other. I feel lucky to call myself both.